Not only is it a delicious spin on a traditional Bloody Mary, but it’s a great way to really increase the nutritional value too. We’ll explain how down below. 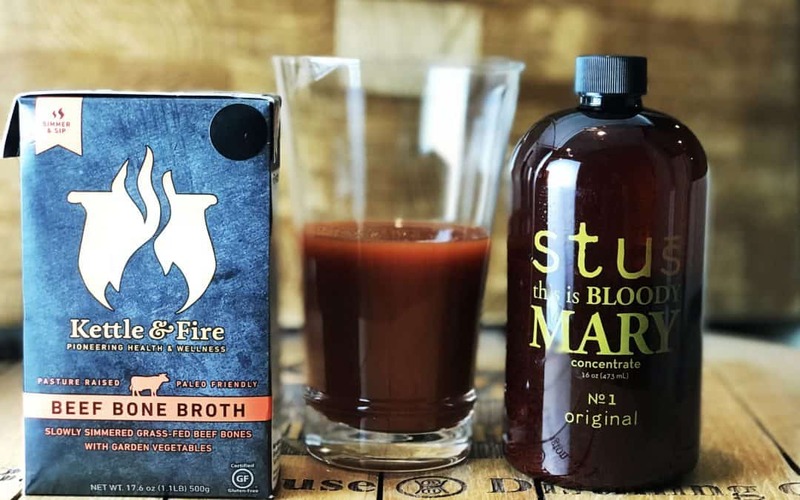 A Bloody Bull is made with adding bone broth. 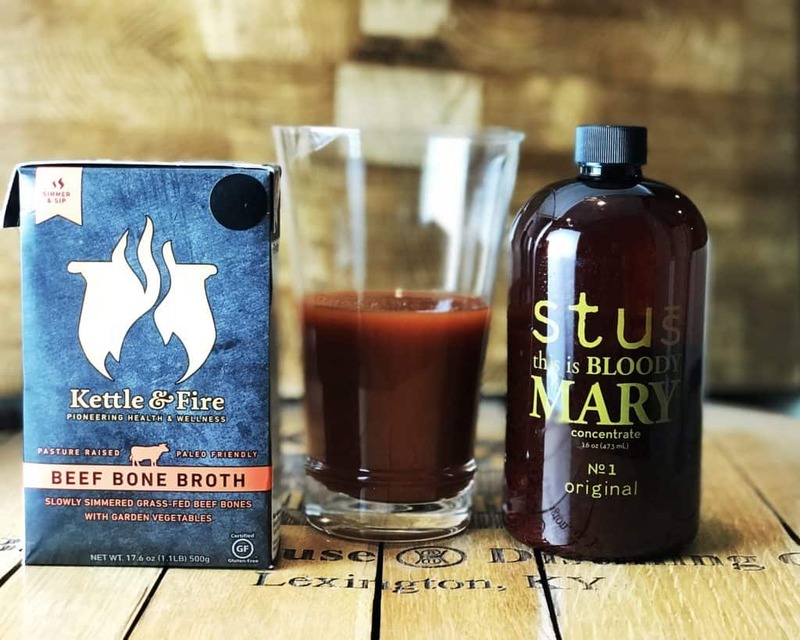 The bone broth adds a bunch of nutrients you can’t get in a traditional bloody mary, PLUS…you’ll use less tomato juice which will lower your carb count for a low carb Bloody Mary. Bone broth has been making a comeback lately and we couldn’t be happier about it. Bone broth is made the same way as stock. Bones are roasted, this improves the flavor of the bone broth. 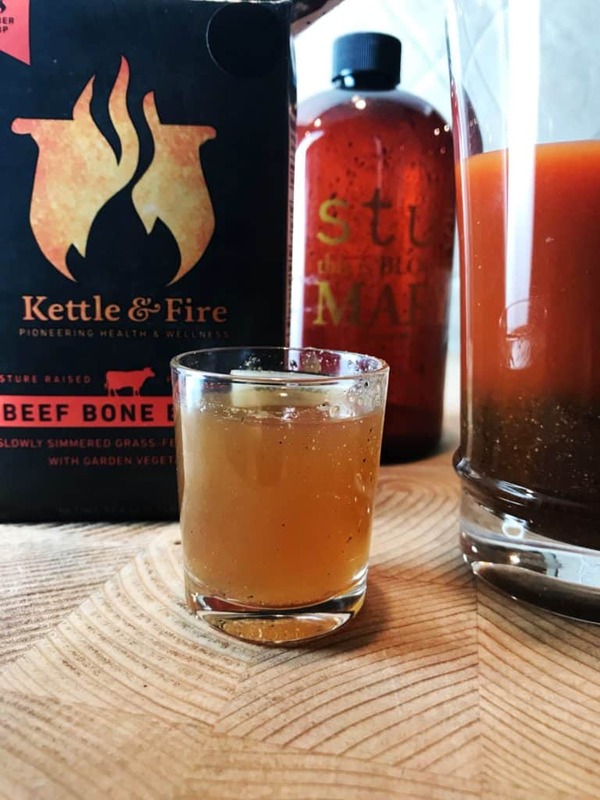 Bone broths are typically simmered for a very long period of time (often for 8 hours, and sometimes in excess of 24 hours), with the purpose being not only to produce gelatin from collagen-rich joints but also to release a small amount of trace minerals from bones. When you’re finally done with your cooking, if done correctly, the bones will crumble when you press between your forefinger and your thumb. You can make your bone broth, but you can also build your own house but why would you want to. Our favorite is option is Kettle & Fire. Their bone broth passes a few tests which is why we allow it to be mixed with STUs. Garnish with a celery stick and bacon if you got it. If you hate time and love wasting it, here’s how to make one from scratch. 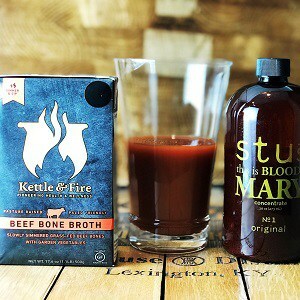 You’ll find this delicious Bloody Bull recipe a nice addition to your bloody mary list.